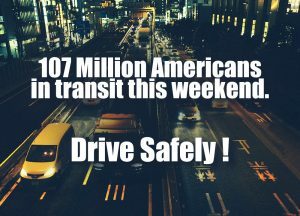 Over the Christmas holiday weekend, 107.3 million Americans will be in transit. Leesfield Scolaro wishes everyone a safe holiday and best wishes for the new year. For more information, the Travel Tort Division will represent all clients involved in transit incidents, regardless of the method of travel. This includes motor vehicles, airplanes, boats, and trains.